A house… and a whole lot more. Green House homes are a way of life for the elders thriving in them, the teams working in them, and the healthcare providers who believe in them. What makes The Green House Project different? An evidence-based model backed by study after study proving it works. A team of expert consultants helping providers create them. Celebrating more than 15 years of success, the Green House movement is transforming long-term and post-acute care nationwide. It is the most radical, yet common-sense solution you’ll ever experience. 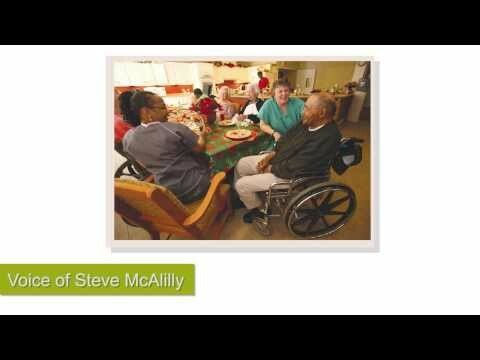 Nurtures elders in a circle of care. Enables deep relationships between Elders and caregivers. Turns the institutional organizational chart upside down. Provides a home for 10-12 people, with private room/baths, that harmonizes with the neighboring community. Creates a real home environment with an open kitchen, great room, and easy access to the outdoors. Meets federal and state licensing requirements. Respects flexible routines and personal preferences. Nurtures a familial experience around a common dining table. Welcomes friends and family members. Encourages personal growth and enables Elders to continue to pursue their interests and passions. Want to hear more? Explore The Green House Project history or take a tour of successful Green House homes across the USA.